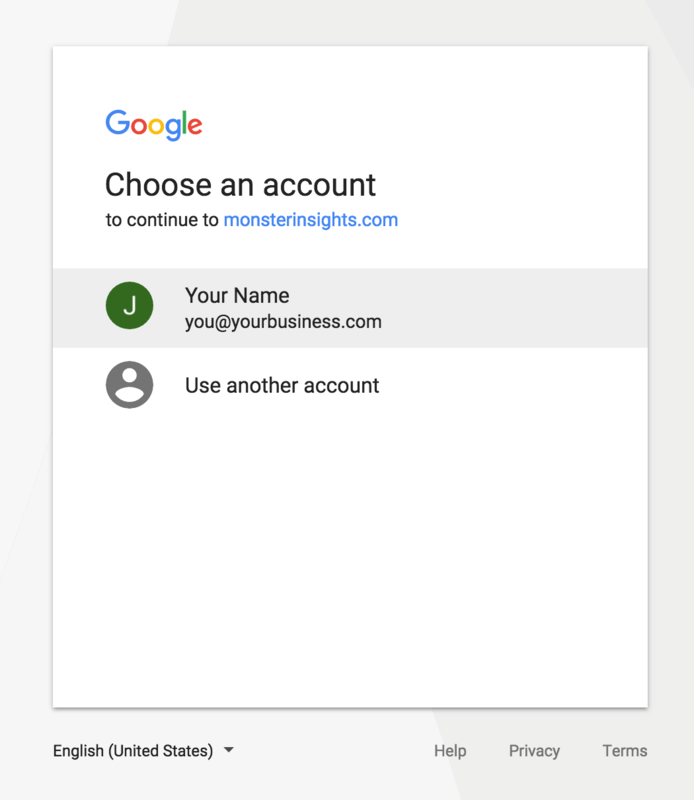 After you install MonsterInsights, you’ll need to connect your WordPress site with your Google Analytics account. MonsterInsights makes the process easy, with no coding required. In this guide, we’ll walk you through the process step by step. Before starting, you’ll need to have a Google Analytics account and at least one property set up. For help getting started, you can read our guide on how to properly set up Google Analytics, or check out Google’s guide on how to set up a property. To get started, click on Insights » Settings in your WordPress dashboard menu. Now you can click the Authenticate with your Google account button to start the process. On the next screen that appears, select your profile. Next, you can click the Allow button to give MonsterInsights access to your Google Analytics data. Next, select the website profile you want to Authenticate with MonsterInsights. Then click the I’m not a robot option, and click Complete Authentication. It can take up to 24 hours for the MonsterInsights dashboard to display your data. Once it does, you can go to Insights » Dashboard to see how your site is doing. That’s it! 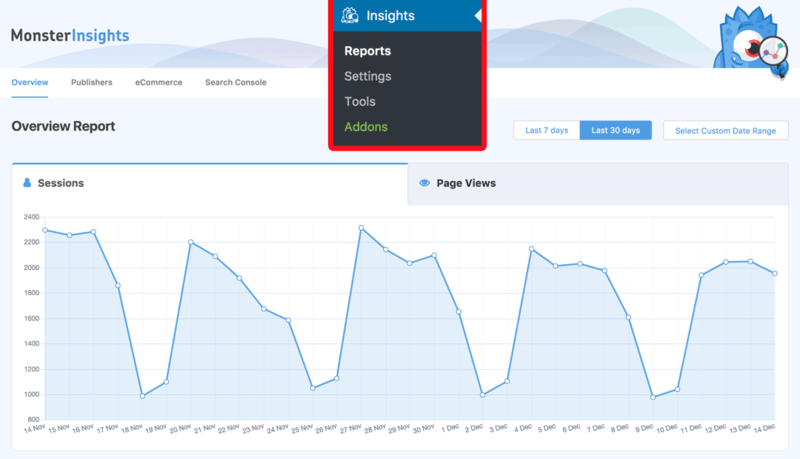 Now you know how to connect to Google Analytics with MonsterInsights. 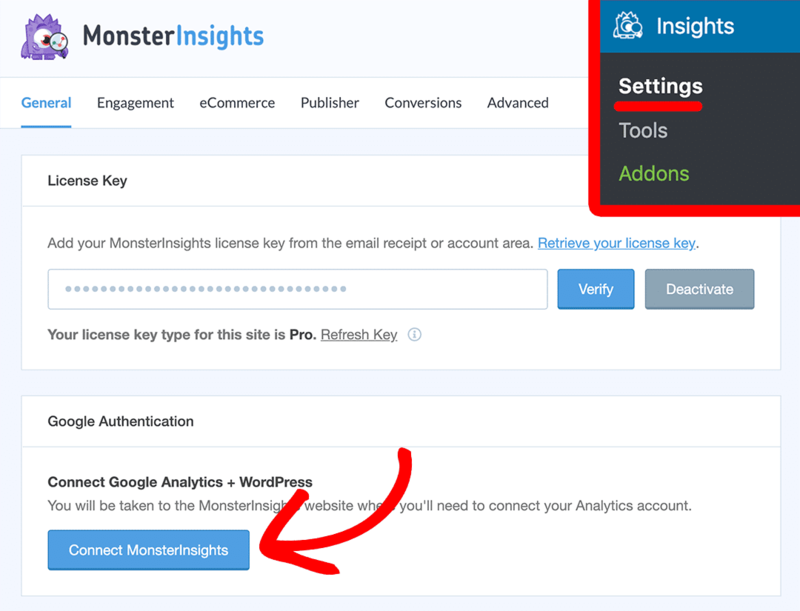 To take your sites of Google Analytics to the next level with MonsterInsights please see our guide: Getting Started with MonsterInsights: Guide and Checklist for Advanced Insights.